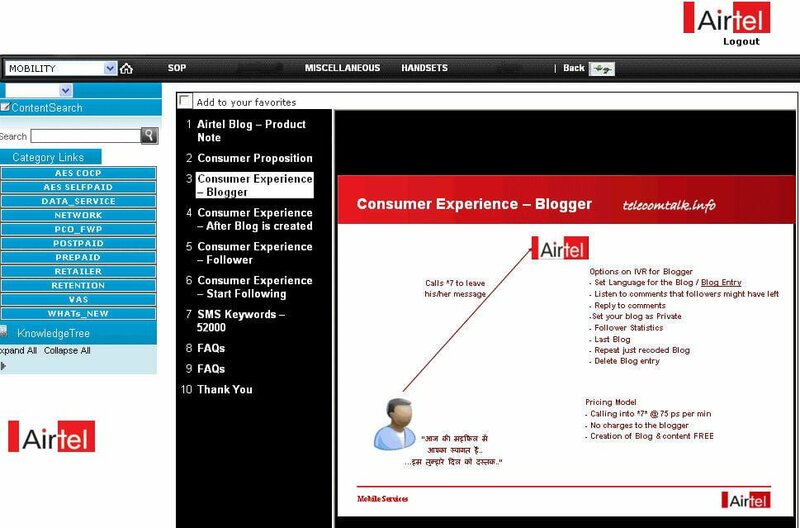 Bharti Airtel India’s leading GSM service provider is in its process to introduce Voice Blogging service first of its kind innovative value added service for its subscribers in India. Now Airtel subscribers can record your own blog and share with your friends all you need to do is dial *7* from your airtel mobile follow the procedure and start blogging using your own voice charges 75 paisa per minute. This will help Airtel subscribers to express themselves to their followers all in one go just by dialing *7*.One can also keep his blog in public and in private mode you can also subscriber to your friends blog by sending a text message to 52000(Toll Free) as SUB 9XXXXXX phone number of your friend whom you wish to subscribe. Our sources also indicate that celebrities from the industries are being engaged to use this platform and they are being given vanity blog codes we don’t have any info regarding the celebrities who is going to participate hope we will be getting a clear-cut picture during the official launch. Creation of Blog- By dialing *7* – 75 paisa per minute. Listen to the blogs of everyone you are following –Dial *2* -75 paisa per minute. Listen to a particular blog –Dial *9XXXXXXXX# (Mobile Phone Number of the user who you wish to listen) – 75 paisa per minute. Subscribing to a celebrity blog *5XXX* the feature is yet to be implanted will let you know when the vanity code is live charges Rs 10 per month and 75 paisa per minute. To unsubscribe SMS UNSUB your mobile Number to 52000 (Toll Free).